B5-12, 5th Floor, KL Industrial Park, 5 Miles, Old Klang Road, 58200 Kuala Lumpur, Malaysia. 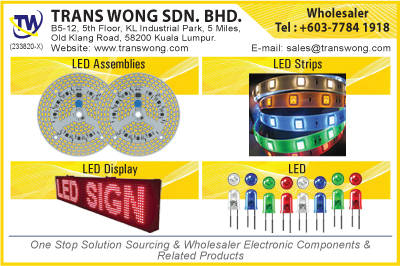 Trans Wong Sdn Bhd started its beginnings more than 30 years, which its core business was the trading of electrical components. Today, Trans Wong is headquartered in the KL Industrial Park in the heart of Kuala Lumpur. It has also diversified its business into 3 core business lines, namely Sourcing, Manufacturing and Distribution & Retail. Trans Wong currently carries electronic components with more than a million items in inventory, these are hosted within their 10,000 square feet warehouse facility. For your information, every piece of equipment has a level of risk associated with it. While you can minimize risks by choosing high-quality products and performing regular maintenance, risks can never be entirely removed. By having access to the right spare parts at the right time you can ensure that your equipment is returned to service in the shortest possible time, avoiding lost revenue and safeguarding your assets and business. 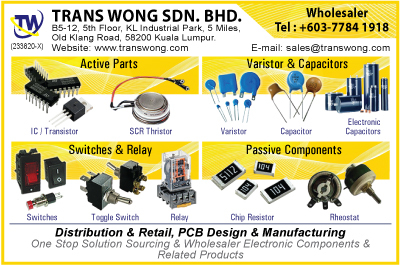 Trans Wong Sdn Bhd supplies original spare parts for both our current and past automation product ranges. 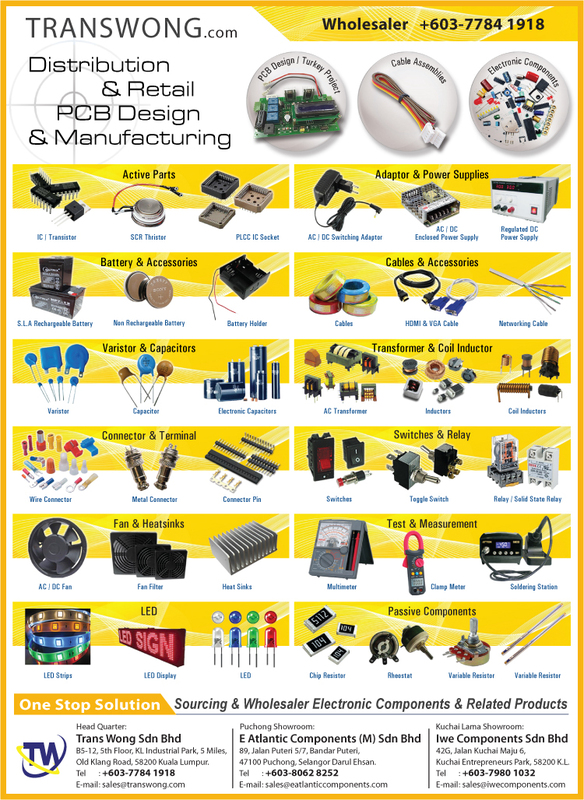 We stock active and passive parts like Resistors, Capacitors, Diodes, LED, Transistors, Connectors, Battery & Chargers, Security and Audio Visual, Semiconductors, Switch and Relays, Computer Data Cable, Transformers and many more. Most of our parts are either sourced from the local factories or from reputable malaysia suppliers with stringent quality control.